I’m standing in a dim hall with flashing lights and fake blood dripping down my chin as a collection of miniature ghosts, vampires, werewolves and witches jump, scream, dance and generally have a good time around me. And when the little goblins retire to their beds, there’s plenty for the big kids to get up to. What’s a ghoul to do? The Arches are holding a one-off Halloween makeover of Alien Wars. Definitely not for the faint of heart, it promises to be absolutely terrifying. If you dare, navigate you way around the ominous Arches basement into the unknown. For £9.50 you’ll get scared out of your skin – and your equal share of tricks and treats. Fancy a breath of fresh air with your Halloween experience? 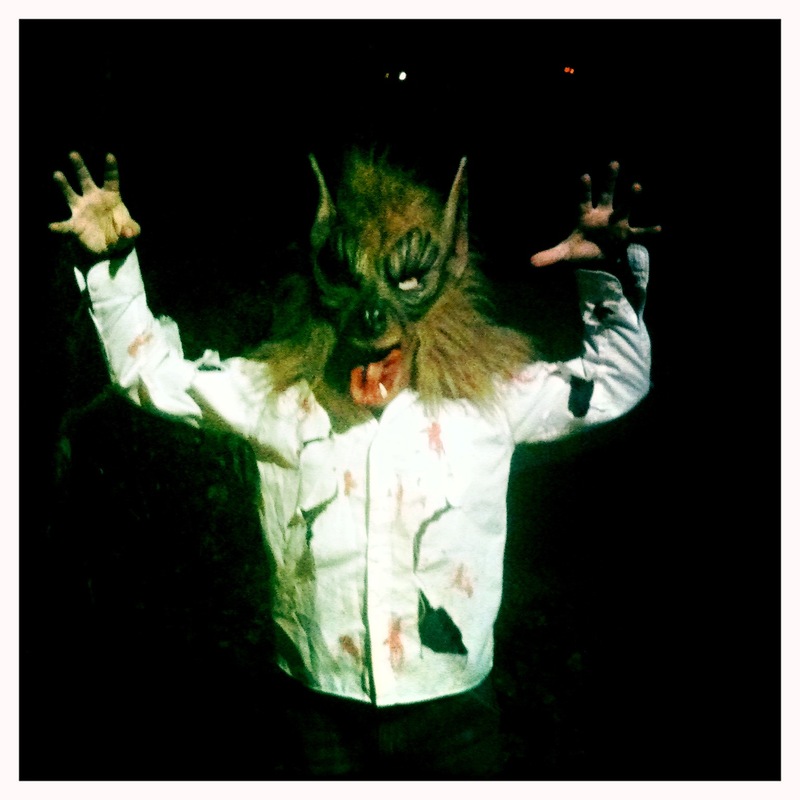 Mugdock Country Park’s Fright Night invites you to walk among spectres as they attempt to reclaim the park. Avoid disappointment and pre-book on their website or call 0141 956 6100. And don’t forget to dress for ghost busting. Alternatively if you’d like to be scared without leaving your seat, GFT are showing The Shining. Even better, watching it apparently can make you burn the equivalent of a chocolate bar in calories so stock up on sweets. Book online or call 0141 565 1000 to book. Whatever you do, have a ghoulishly good Halloween. I’m off out guising with my werewolf, hoping mostly avoiding the tricks and picking up a treat or two.